Huge thanks to Rhonda for today’s tutorial. Rhonda bravely volunteered in response to my appeal for tutorial writers during the last blog hop. I’m happy to say not only did she write today’s tutorial, but we’ll be featuring another fun tutorial from her in a few weeks! Please give her some love over at her blog, Rhonda’s Place to Share. 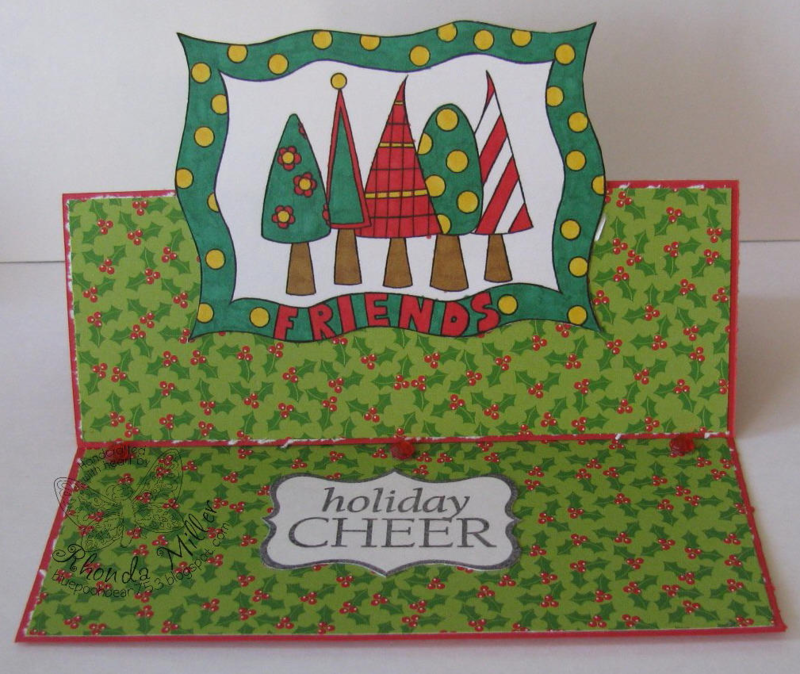 Today, Rhonda has given us instructions for a pop-up easel card. This is a horizontal card. If you’d like a vertical variation, check out the easel card tutorial we featured last year. It’s so great to have measurements for A2 cards! First you’ll want to score your card base on the long side at 2 1/8 and 4 1/4. Fold score lines. I you did 2 pieces of DP at 4 x 5 ¼ score one at 2 inches on the 4 inch side. Next adhere your DP to the card front and inside of the card. 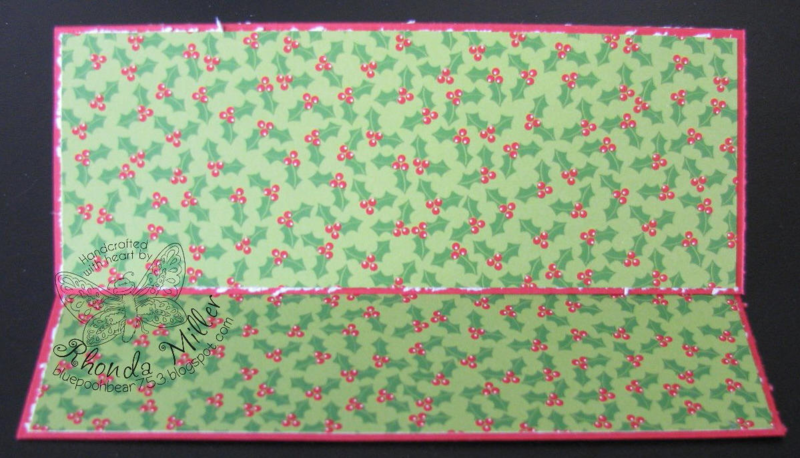 Color and cut out your image and adhere to card front only applying tape to the bottom half of the image. 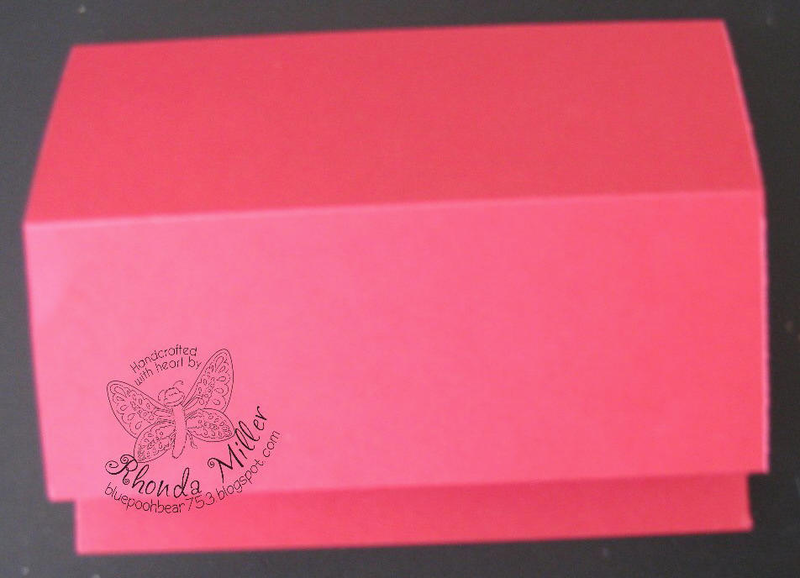 Embellish card as desired, making sure to place your “anchors” on the bottom piece of card. Stand up the easel and your card is done. Thanks, Rhonda, for today’s tutorial! Everyone, please remember if you see an idea for a tutorial or if you’d like to share one (even if you need an idea) please contact me at kate@operationwritehome.org. Thanks! Wow! Thanks for the tutorial – you make it look easy enough that I could do it! I am going to try this! Rhonda I've never attempted an easel card before but you;ve done such a nice job explaining it I'm going to have to give it a try! Great job! Wow what a great tutorial. I can't wait to try it. 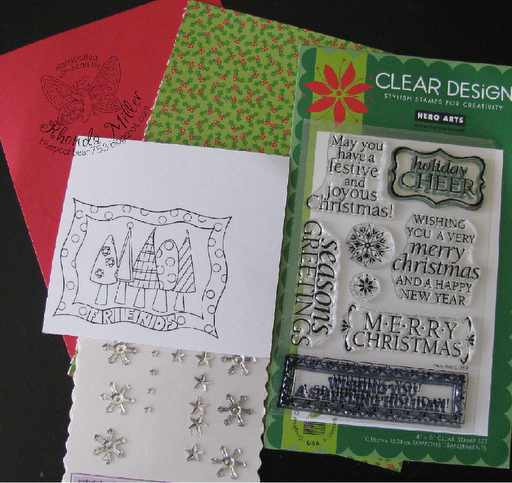 Hi Rhonda, I'm so glad to have directions for a horizontal easel card! Can't wait to try this. Thanks.